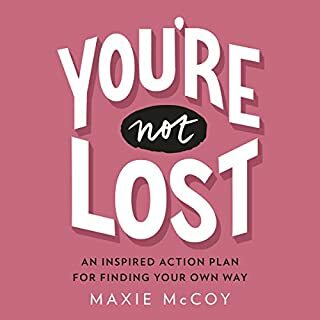 You're Not Lost is the manifesto for a generation of women who don't have the self-confidence to trust their instincts and go for it. This compelling guide gets to the root of the problem, showing you how to drop the panic-inducing, big-picture obsession over "Where am I going with my life?" and instead shines a spotlight on the small yet impactful decisions that will take you from lost to found. With step-by-step advice, thought-provoking exercises, and real-life stories, this book is an energizing action plan for getting to the amazing career and life you deserve. What a great book for ANYONE feeling a little lost or unsure about their place in life. Reassuring and action oriented at the same time. Loved the author’s voice too!